TO4S can produce from lower range of rpm to higher range of rpm to increase the peak power (about 400ps). As the big single is in advantage of power, FD3S has more boost pressure, more air, and more power. And still it is a compact kit for tuning up your FD3s. This kit is suitable for one who wants to change the deteriorated stock turbine. Other short parts and fittings. This kit may take up to 2-6 weeks for delivery depending on stock availability. please check with up prior to ordering if you require this part urgently. Single Turbo. Airflow less setup requires F-Con Vpro or similar. Get the power-up plus for the price of normal change for a exciting driving experience!! TO4z can produce from lower range of rpm to higher range of rpm to increase the peak power(about 400ps). As the big single is in advantage of power, FD3S has more boost presure, more air, and more power. And still it has compactness kit for tuning-up. This kit is suitable for one who wants to change the deteriorated stock turbine. This Full Turbine kit is low cost single turbine and for novice at single turbine or a RX-7 (FD3S) owner who wants to change the original turbine. Adopted 4 holes flange to attaching part of the turbine and front pipe which makes it easy to install. Includes chamber pipe which matches original intercooler layout. 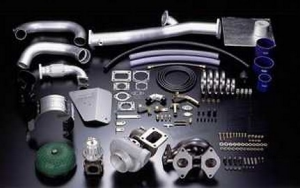 With the chamber pipe it supports the original intercooler and R type intercooler V system. 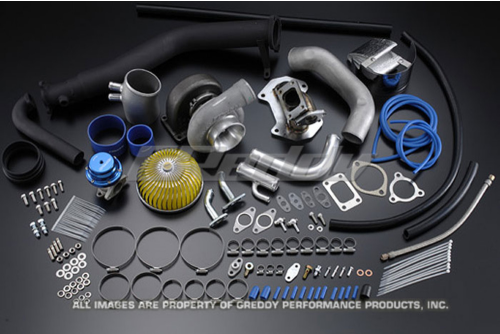 Get big power gains with the GReddy T78 Turbo Kit. 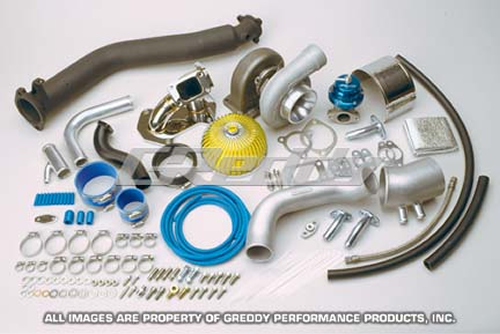 All GReddy Turbo and Turbo Upgrade kits exclusively use GReddy Spec. Mitsubishi Turbochargers. Our kits are design and tested to match the best-sized turbo per application. This means you get good response, smooth driveability, performance that can still be upgraded, and lasting reliability. Image is for illustration only and actual kit may vary from that in the picture. Special Order Item, this may take up to 8 weeks for delivery. This kit is special order and may take up to 8 weeks for delivery. Image is for illustration purposes only as actual kit may vary slightly from that pictured.